For generations, agricultural commonsense has guided us in our farming methods and helped to keep everything in balance and harmony in the vineyard. Our winemaking profession has evolved along with the equipment and techniques we use, and our environmental constraints. 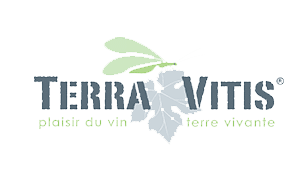 Since the 2017 vintage, our environmentally friendly winemaking methods have achieved Terra Vitis certification. This is based on the three pillars of sustainable development: environmental, social and economic; in order to promote respect for nature, people and wines. More than ever, our sector is subject to international competition. We have always chosen to support a “made in France” supply chain. For our cartons, labels, bottles and capsules, 98% of the companies we call upon are French. Many are indeed local and sometimes, like us, family-owned. Vignobles et Découverte is a French national wine tourism logo that guarantees that, chez nous, you will enjoy a high standard of wine tourism and a warm welcome. The Culinary College of France aims to bring together those who practice and promote gastronomy on a daily basis, in France and around the world. This is why The Culinary College of France has decided to extend the title of Artisan Producer of Quality to winemakers who share the same human, ethical and professional values ​​as all its members. Thanks to our wines, we have been chosen as Bordeaux women who, alongside cooks and artisan producers, contribute to the influence of French gastronomy around the world.